Remote controlled toys can be fun to play, but more often than not, they tend to offer diminishing returns when it comes to the power consumption. You might take a whole half hour to juice up the battery to its maximum level, and yet are able to pilot the particular drone, or car, for eight to ten minutes, tops. Well, what if I told you that there is the possibility of actually controlling a fully equipped, life sized Black Hawk helicopter? This is what Sikirsky Aircraft Corp. has done, working alongside the U.S. Army to deliver an optionally piloted flight of a Black Hawk helicopter. This is definitely a significant step in the right direction toward providing autonomous cargo delivery functionality to the U.S. Army, so you can kiss goodbye to the idea of bringing some hot and heavy rain down behind enemy lines from afar without placing your life at a significantly higher risk factor. 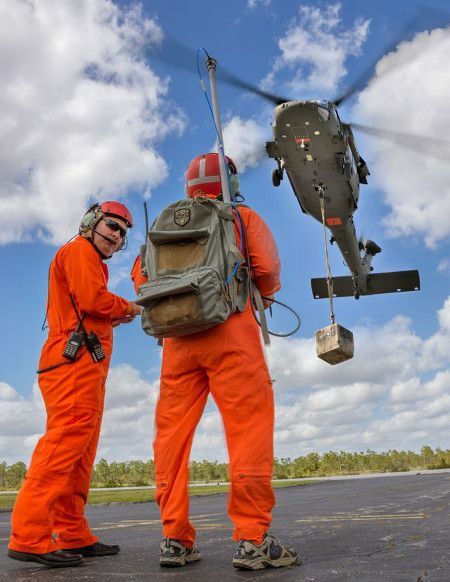 The Optionally Piloted Black Hawk (OPBH) Demonstrator, is also known as Sikorsky’s Manned/Unmanned Resupply Aerial Lifter (MURAL) Program. In fact, a successful first flight demonstration was performed in March this year at Sikorsky’s Development Flight Center, where the OPBH showed off autonomous hover and flight operations all the while being under the control of a man-portable GCS, showing off the capability for expeditionary operations and critical cargo resupply. It would be interesting to see how the MURAL Program will pan out eventually, and whether we will see upgrades such as weapons being thrown into the mix for pilots to carry out offensive missions effectively. Nano Nails – Who knew your new manicure could be your stylus?